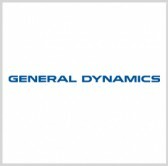 A subsidiary of General Dynamics' mission systems business has announced the future opening of a new engineering and manufacturing site in Colorado Springs, Colo.
GPS Source's new 18.5K-square-foot facility, set to open within the second quarter of 2019, will house over 100 employees, General Dynamics Mission Systems said Tuesday. The site will serve as a venue for research, development, engineering, production, shipping, administration, management, sales, finance and marketing activities. Employees may utilize the site's work spaces, conference center and engineering laboratories after the opening. "Over the next five years, our goal is to become a primary provider of precision location and timing solutions for the U.S. military and related customers,” said Robert Horton, president at GPS Source. GPS Source provides government customers with position, navigation and timing products in the technology area of global navigation satellite systems.